Alternatively known as the Pink City of India Jaipur is considered to be the 7th best place to visit in Asia, Jaipur, also the capital and largest city of Rajasthan was founded on 18 November 1727 by Maharaja Sawai Jai Singh II, the ruler of Amber, after whom the city has been named. The city was planned according to Indian Vastu Shastra .The directions of each street and market are East to West and North to South. The Eastern gate is called Suraj (Sun) Pol, while the Western gate is called Chand (Moon) Pol. There are three gates facing East, West, and North and a Northern gate (known as Zorawar Singh gate) which faces toward the ancestral capital of Amber, while many gates face South. The city is remarkable among pre-modern Indian cities for the width and regularity of its streets which are laid out into six sectors separated by broad streets 34 m (111 ft) wide. The urban quarters are further divided by networks of gridded streets. Five quarters wrap around the east, south, and west sides of a central palace quarter, with a sixth quarter immediately to the east. The Palace quarter encloses the sprawling Hawa Mahal palace complex, formal gardens, and a small lake. Nahargarh Fort, which was the residence of the King Sawai Jai Singh II, crowns the hill in the northwest corner of the old city. The observatory, Jantar Mantar, is one of the World Heritage Sites. Included on the Golden Triangle tourist circuit, along with Delhi and Agra, Jaipur is an extremely popular tourist destination in Rajasthan and India. Temperature in Jaipur remain relatively high throughout the year, with the summer months of April to early July having average daily temperatures of around 30 °C (86 °F). The winter months of November to February are mild and pleasant, with average temperatures ranging from 15–18 °C (59–64 °F) and with little or no humidity. There are however occasional cold waves that lead to temperatures near freezing. Jaipur has a number of forts and monuments like, Hawa Mahal, Amber Fort, Jaigarh Fort, Nahargarh Fort, City Palace, Jantar Mantar, Rambagh Palace, Jal Mahal, Central Museum and Albert Hall Museum. It has also known as Chota KASHI for its numerous temples and religious places. Some of the famous temples are Govind Dev Ji Temple, Galtaji, Lakshmi Narayan Mandir or Birla Temple, Garh Ganesh Temple etc.The city has a number of gardens and parks like Ram Niwas Garden, Sisodia Rani Garden and Palace, Jawahar Circle Garden. National Highway No.8 links Delhi to Mumbai, National Highway 12 links to Kota, Baran District and National Highway 11 links Bikaner to Agra, and it also connected to Delhi and all main cities in India by Rail. Jaipur International Airport is in the satellite town of Sanganer, 10 km from the city-centre, and offers service to major domestic and international locations. With a skyline that is dotted with buildings that are pink in colour, the city paints a mesmerising picture. The city is lined with stunning forts and huge palaces and a central lake to top it all off. The Jantar Mantar is a spot where you can explore the astronomer in you. Built as an observation tower in the 17th century, this building is one of the best places to spot some rare stars in the sky. The fact that the city boasts of mainly a clear sky only helps matters. The Chand Baori, a step well designed deliberately to bounce off the reflection of the moon into a well lined with cut steps is one of the major attractions in the city. The city also has many forts to see. The city place complex also houses the Govindji Temple and is a temple of Lord krishna and Large number of people visit it. The temple was built in such a fashion that the king could see the deity from the Chandra Mahal, opposite it. The temple is surrounded by gardens and palaces. The image of Govind Devji was originally installed in a temple in Vrindavan. Timings: 9:30 a.m. to 4:30 p.m.
Jantar Mantar is the largest and best preserved of Sawai Jai Singh's five observatories. It is built in stone and marble whose setting and shapes are designed scientifically and which are one of the high points of medieval highpoints of medieval Indian astronomy. There are also two Ram Yantras for gauging altitudes. Timings : 9:30 a.m. to 4:30 p.m. The palace of winds a fascinating landmark of Rajasthan, was built by the orders of poet-king, Sawai Pratap Singh in the 18th century and is the most remarkably designed monument in Jaipur. What is seen from the Sireh Deorhi Bazar is the Multi-niched five storey high backside of the complex. it was conceived to provide adequate vantage position behind stone carved mesh like screens to the palace women for watching the royal processions passing through the bazaar. It now has a museum and the collections include paintings, coins, handicrafts and sculptures. 'Jaipur-past and present' is the special feature of the museum. The western skyline is dominated by the extensive parkotas (walls), watch towers and gateways of Jaigarh. It is one of the few military structures of mediaeval India preserved almost intact containing palaces, gardens, open and covered reservoirs, a granary, an armory, a well planned cannon foundry, several temples, a tall tower and a giant mounted cannon the Jai Ban one of the giggest in the World. Situated just over 10 kilometres away from Jaipur on the Jaipur-Delhi highway is Amber, which was the ancient capital of Jaipur State. A bus leaves from Hawa Mahal every 30 minutes and a well-laid out road takes the visitor out of the city and very soon one witnesses lush green hills. To provide open space and greenery to the citizens, there is a big garden, with a zoo, an aviary, a greenhouse, a herbarium, a museum and several sports grounds. It was built during the reign of Sawai Ram Singh II' in 1868 as a famine relief project. Located near the Police memorial towards the back side of SMS Hospital is the Dolls Museum. There are attractive dolls from various countries and is housed in the compound of the school for the deaf and the dumb. Timings: 9:30 a.m. to 4:30 p.m. It is eight kilometres away from Jaipur on the road to Agra. Several landscaped gardens were constructed by the kings and the courtiers in the 18th and 19th centuries with the biggest and the most famouse being one built by Sawai Jai Singh for his Sisodia queen, the Sisodia Rani Ka Bagh. It consists of tiered multilevel gardens with fountains, watercourses and painted pavilions. Timings: 9:30 a.m. to 4:30 p.m. This garden is named after Vidyadhar who was the chief architect and town planner of Sawai Jai Singh II. It falls just before the Sisodia Garden and the gardens have been planned in the medieval style. Every evening. lights concealed at the base of the surrounding hills lighten up the place. In the vicinity of the city, 10 kms. from Jaipur, Galta is situated amidst the range of hills east of the city. On the top of the hill. overlooking the Galta valler is a sun temple. To the east of the temple is a reservoir or a tank which is fed by spring of pure water falling from a Gaumukh or an outlet shaped like the mouth of a cow. On way to Galta, by the Ghat-ki-Guni, is a range of hills crowned with the fort of Amargarh. Over 9.5 acres, it houses a museum, auditorium, (with a seating capacity of 1,300), a library, a planetarium and a big exhibition area. The convention centre hosts major conferences. The entrance facade is a replica of Ganesh Pole of Amber Palace. Hotel Mansarovar Palace is centrally located at Mansarovar Jaipur, on a distance of only 4 kms from Jaipur Airport, 2.5 km from Durgapura Railway Station and 7 kms from Jaipur Junction & Sindhi Camp Bus Stand. 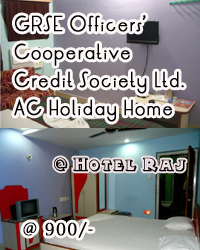 Hotel Kalyan is a beautifully structured hotel situated in the heart of the Pink city. It is located at a distance of 13 Kms. from Jaipur Airport, 1 km. from Railway Station and Central Bus Stand. Hotel Hardik palace have 21 Rooms Friendly, Relaxing & Charming Classic Budge Hotel at Jaipur, situated, minutes away from the Central Railway Station (0.5 kms) & Central Roadways Bus – Stand (0.5 kms). Airport is at a convenient drive of just (12kms) of the Hotel.